How are people feeling at any moment? 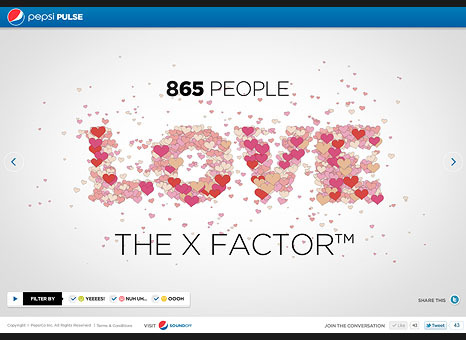 Pepsi wanted a way of tracking and expressing people’s social media chatter during the debut of The X Factor. 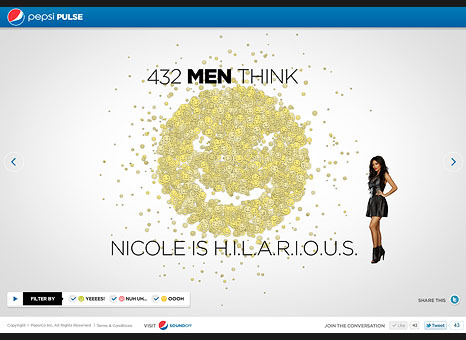 Pepsi Pulse pulled talk about the show from Twitter and Facebook, then displayed the findings in a stunning data visualization that was easy to share with friends. Users visiting the site were shown a random assortment of what was happening at the moment; for example, 20,000 people in New York might have thought Paula was hot, or 2,465 women disagreed with Simon. These opinions were tallied up and arranged in a sleek visualization. The data was updated at regular intervals so users could always view the most up-to-the-minute fan sentiments. 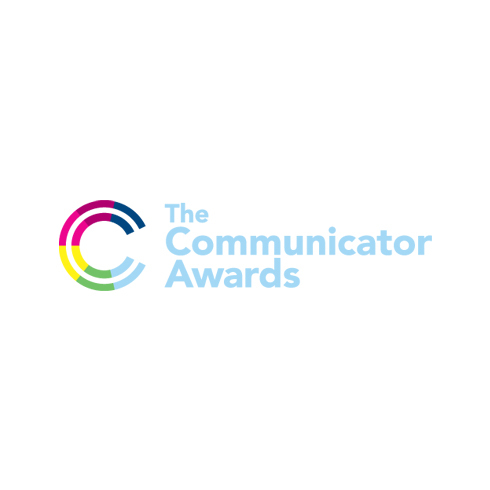 Users were able to filter the results they saw by choosing between different emotions in the site navigation.